Kids from Nihonmachi Little Friends participate in the Cherry Blossom Festival’s Grand Parade every year. SAN FRANCISCO — Nihonmachi Little Friends (NLF) will celebrate the 80th anniversary of its Julia Morgan-designed building with a Sushi Social on Friday, Nov. 16, at 6 p.m. in its Tateuchi Auditorium at 1830 Sutter St. in San Francisco’s Japantown. The event, held in conjunction with the agency’s 37th anniversary, will feature an unveiling of NLF’s newest initiative, the “Plant a Seed (Tane Maki)” Campaign, and a special recognition of Hatsuro “Hats” Aizawa, a longtime NLF supporter. Back by popular demand, Chef Masanobu Sato and his associates will prepare an assortment of delectable sushi. Formerly known as the Japanese YWCA, 1830 Sutter was built in 1932 by Morgan and offered temporary housing and cultural and social activities for young women and girls. NLF completed its $2.2 million capital campaign to fund the purchase and renovation of the building in 2009. It was entrusted to NLF by the YWCA as part of the settlement of a community-supported lawsuit to save the building. “NLF is fortunate to be one of those organizations that the Aizawas so generously support,” said NLF Board Chair Adrienne Shiozaki-Woo. Being very civic-minded, Aizawa and his wife Amey have been involved in a myriad of community-based organizations. Most recently, he served as one of the honorary co-chairs of NLF’s capital campaign. Once a single preschool with 15 children, NLF has grown into a premier non-profit child-care center with three sites, serving over 200 children annually with ages ranging from 2 ½ to 12 years. Over 3,000 children have attended NLF since it was founded in 1975. Its affordable Japanese bilingual and multicultural programs attract a broad range of families from diverse ethnic and economic backgrounds. 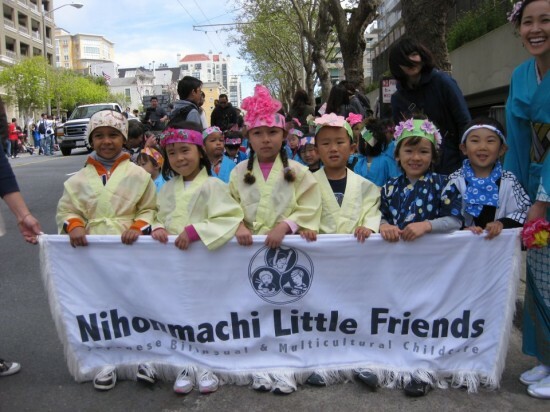 During its 37 years, NLF has become a model program, bringing families into the community and San Francisco’s historic Japantown on an ongoing basis. Suggested donation is $100 per person. To make reservations, contact NLF at (415) 922-8898 or [email protected] All proceeds from the evening will benefit NLF’s programs and its Building Fund. This event is made possible with the support of Union Bank and Wells Fargo.